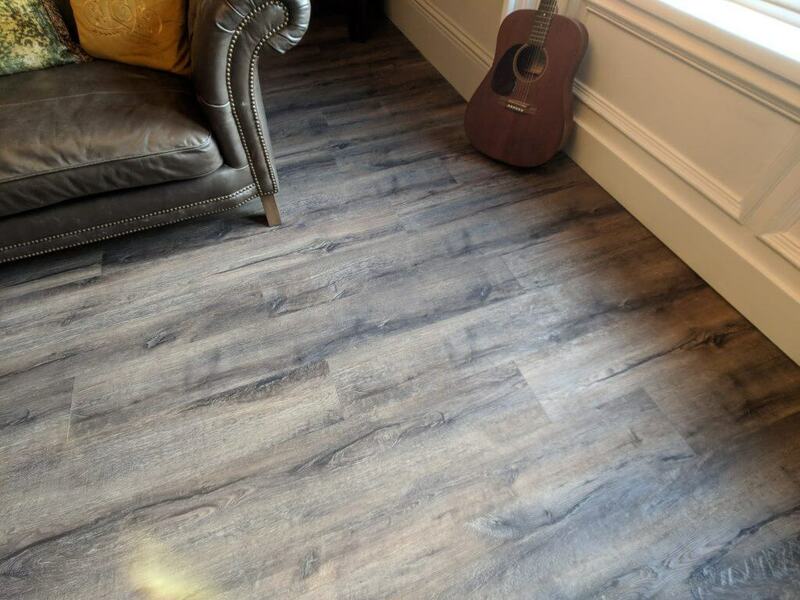 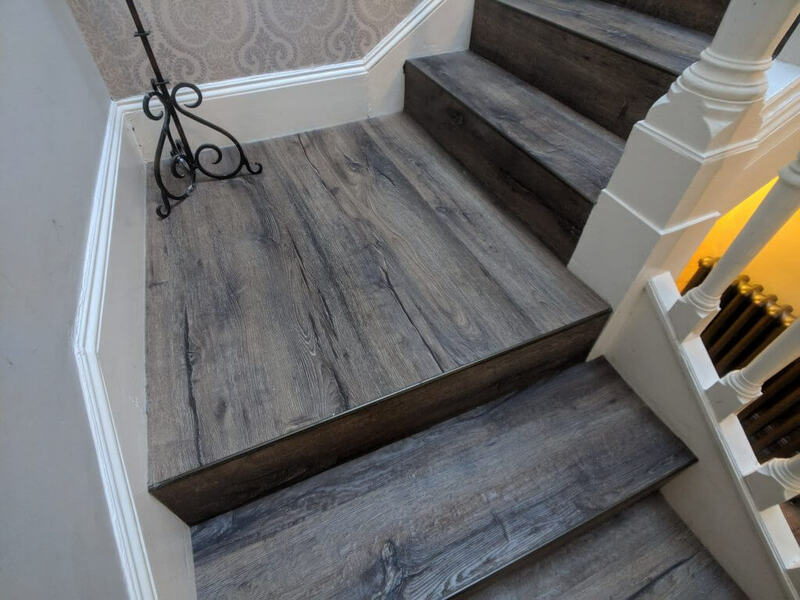 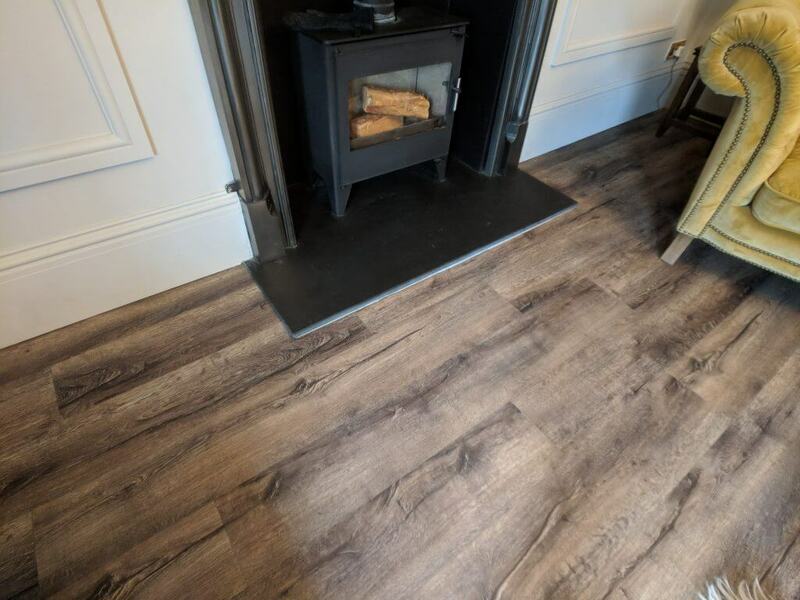 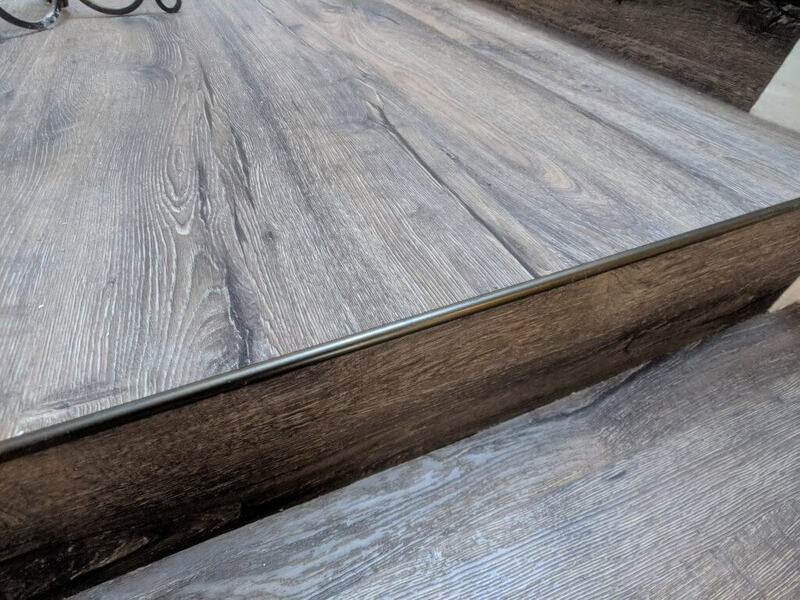 Moduleo Impress Mountain oak throughout customers stunning 100 year old home. 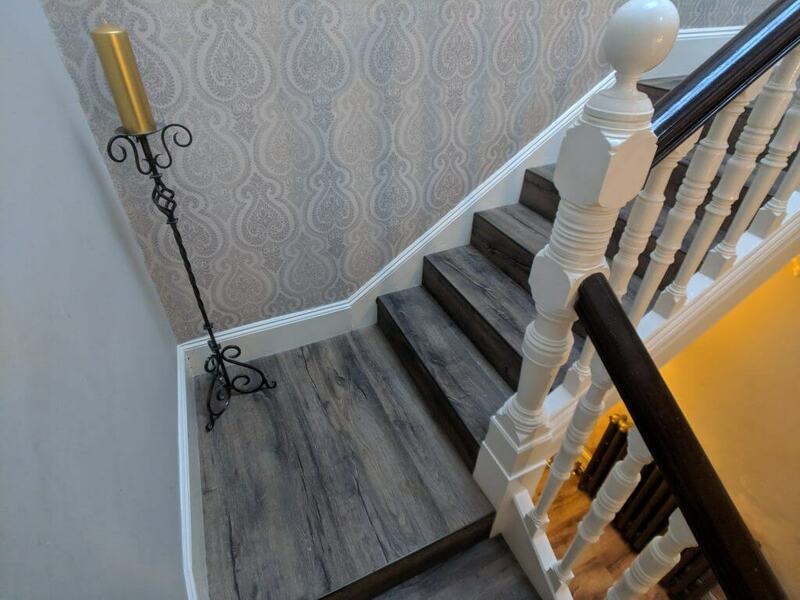 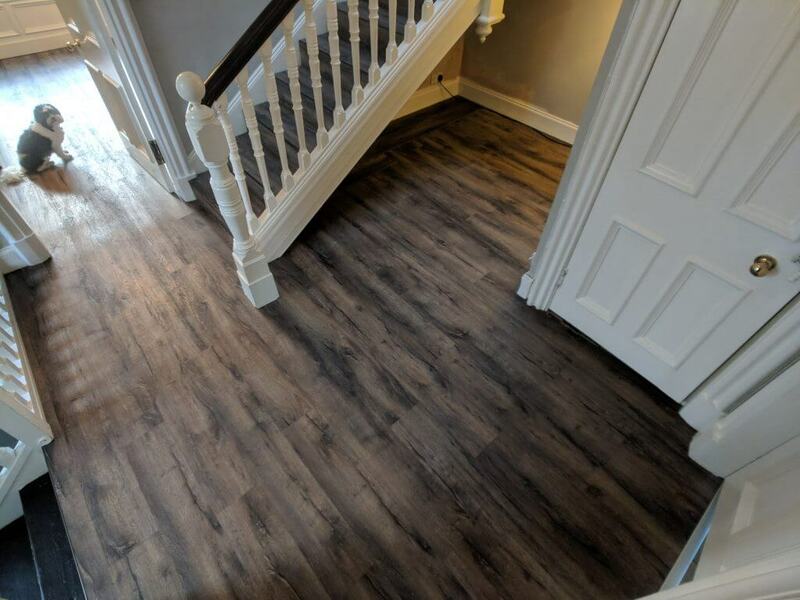 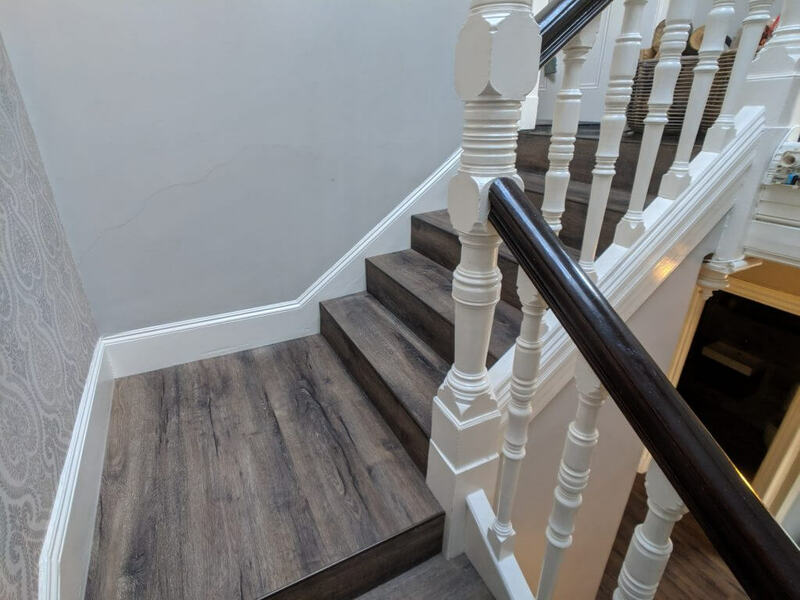 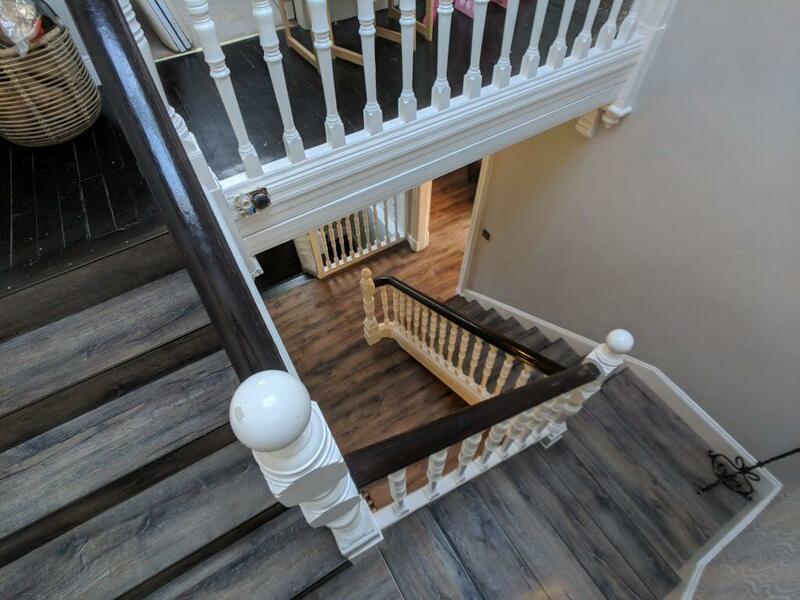 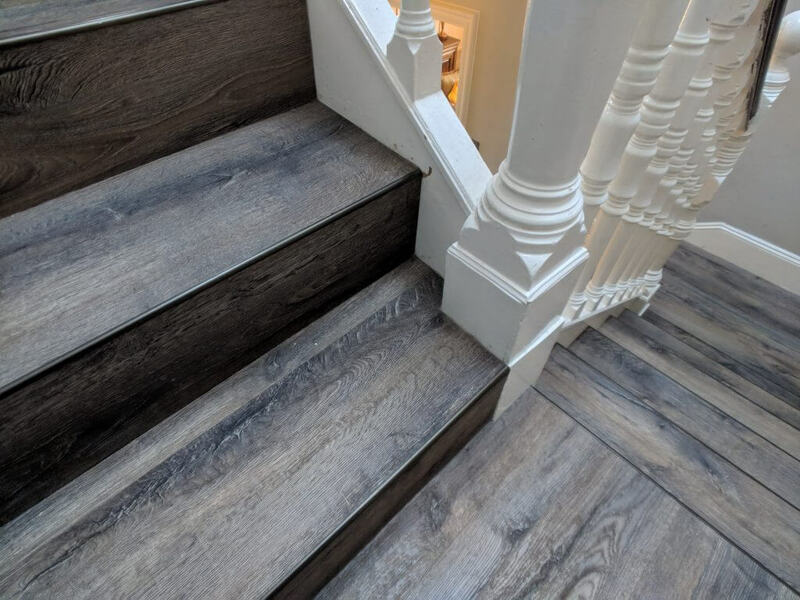 9mm ply fitted to even out uneven floor boards and stairs finished off with custom coloured stair nosing by Westend Flooring Specialists. 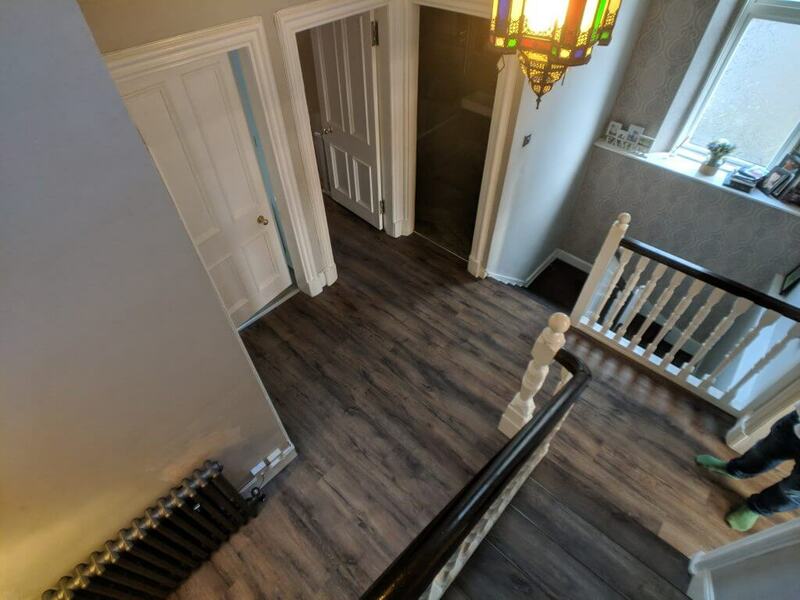 Get in touch to book in our expert fitter for your project.